Microsoft today is releasing a major update for its Movies & TV app for Windows 10 users on PC and tablets. The update is available only for users on Fast Ring with version 019.17092.12811.0. The latest update comes with 360-degree video with new controllers options. Over the last few months, Microsoft has increased its focus on Windows Mixed Reality. Recently Samsung launched its Windows Mixed Reality headset and it has received a good response from the customers despite carrying a price tag of $499. Microsoft has added the Mixed reality option to view and interact with the videos available in the Movies & TV application (also known as Films & TV in some countries). The new update helps users to automatically view all 360-degree videos with the new motion controllers, it provides an interactive and unique experience to users. As we noted above, Microsoft is rolling out the updated Movies & TV app to Windows Insiders in the Fast Ring and can be downloaded from the below link. Users would need to however have the Mixed Reality app available on their PCs to have a good experience of the new Movies and TVs app update. 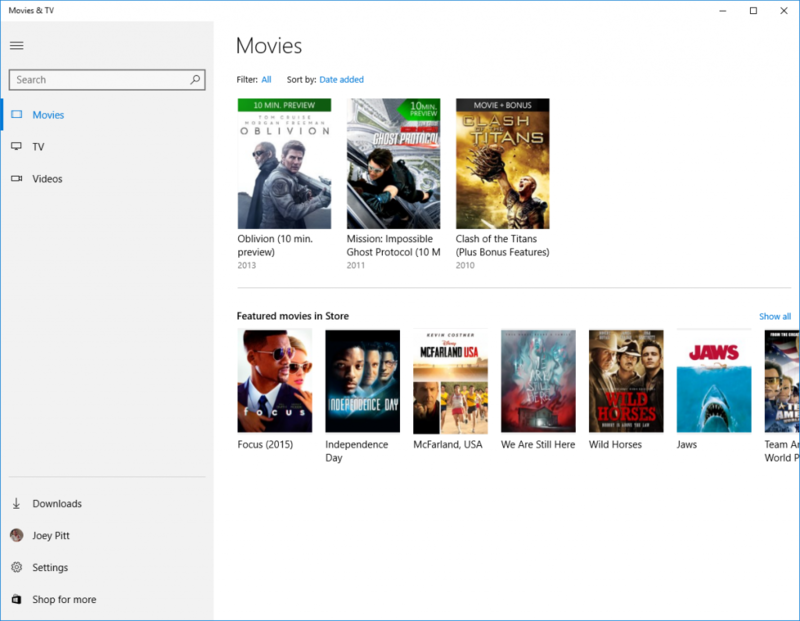 Download Movies and TV app for Windows 10.